David Kubert, riding his motorcycle with his wife, Linda, as his passenger, sees the pick-up truck driver steering with his elbows, his head down, immediately before the head-on crash. The truck has drifted across the centre line. The choice made by 18 year old Kyle Best to text with his girlfriend while driving causes David and Linda to each lose a leg. Kyle pleads guilty to distracted driving. He is ordered to speak to 14 high schools about the dangers of texting and driving and has to pay about $775 in fines. As you would expect, Kyle also faces a civil case brought by David and Linda, who are seeking fair compensation for their losses arising from his careless choice. What isn’t expected is that Kyle’s girlfriend, Shannon, is also included in that lawsuit. Does it make sense that Kyle’s texting accomplice, Shannon, is included in the lawsuit? If Shannon knew that Kyle was driving during their texting exchange, isn’t she as responsible as Kyle is for the crash? It was her texts that distracted him from the road. Is it any different from, say, road head? (You’ll have to read last week’s column for context on that one). It is a New Jersey case. Shannon’s lawyer applied to a New Jersey Judge to dismiss the case as against her. The application, heard last week Friday, was successful, the Judge holding that it is reasonable for text message senders to assume that recipients will behave responsibly. That decision is being appealed. Shannon had already given evidence under oath, in a deposition, that she didn’t know whether Kyle had been driving at the time of the text exchange. I expect the decision would have been different if there had been proof that she had been aware. The wheels of justice often move slowly, so I won’t hold my breath for the results of the appeal. What I will do, though, if the right case comes across my desk, is pursue the same arguments here in British Columbia. It makes sense to me that those knowingly contributing to a dangerous situation should be held accountable. I would want there to be compelling proof the texting partner knew or ought to have known that the driver was actively engaging in the texting exchange while driving. An example: a girlfriend having a continuous texting exchange with her boyfriend who she knows is on the Coquihalla. Proof would be easier with a cell phone conversation, than with a text. With a conversation, you can tell from the vehicle noises and context of the discussion that the person you are conversing with is driving. 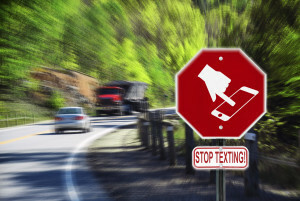 Even though the distraction level is the same whether you chat on a hand held or hands free cell phone, only hand held cell phone use while driving is banned so far in British Columbia. That distinction won’t stop me from suing you on behalf of an injured victim if your hands free cell phone discussion distracts you to the point of causing a crash. It also won’t stop me from including your accomplice, the person you were chatting with, as an additional defendant in the lawsuit. Make the choice to stop being an accomplice to distracted driving. 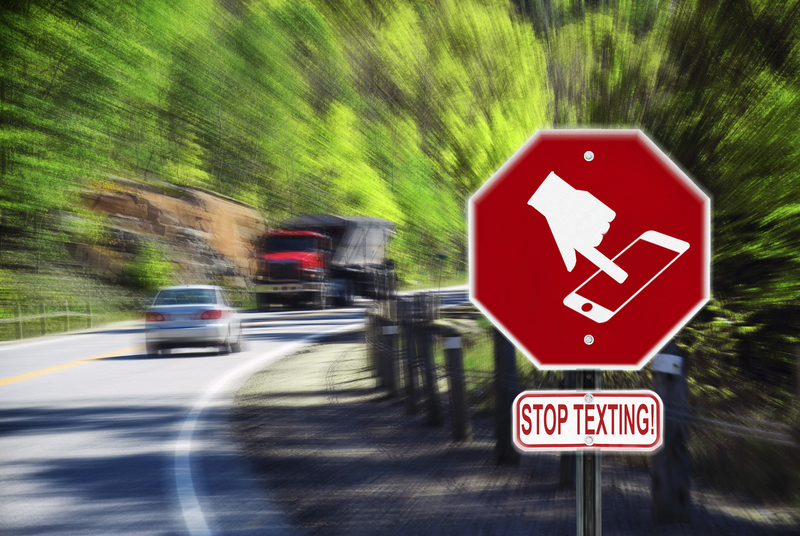 Refuse to participate in a texting exchange with someone you know or believe to be behind the wheel. If a driver insists on chatting with you on a cell phone, require the driver to pull over before participating in the discussion. You will face irritation from drivers who you inconvenience by your choice. I certainly have faced that irritation. Feel free to blame me if a safety justification feels insufficient. The driver is protected by mandatory liability insurance if he or she hurts someone. You aren’t.